Raw milk cheese—cheese made from unpasteurized milk—is an expansive category that includes some of Europe’s most beloved traditional styles: Parmigiano Reggiano, Gruyère, and Comté, to name a few. In the United States, raw milk cheese forms the backbone of the resurgent artisan cheese industry, as consumers demand local, traditionally produced, and high-quality foods. Internationally award-winning artisan cheeses like Bayley Hazen Blue (Jasper Hill, VT) would have been unimaginable just forty years ago when American cheese meant Kraft Singles. Unfortunately the artisan cheese industry faces an existential regulatory threat. Over the past thirty years the US Food and Drug Administration (FDA) has edged toward an outright ban on raw milk cheeses. Their assault on traditional cheesemaking goes beyond a debate about raw milk safety; the FDA has also attempted to ban the use of wooden boards, the use of ash in cheese ripening, and has set stringent microbiological criteria that many artisan cheeses cannot meet. The David versus Goliath existence of small producers fighting crushing regulations is true in parts of Europe as well, where beloved creameries are going belly-up or being bought out because they can’t comply with EU health ordinances. Centuries-old cheese styles like Fourme d’Ambert and Cantal are nearing extinction, leading Prince Charles to decry the “bacteriological correctness” of European regulators. The dirty secret is that Listeria and other bacterial outbreaks occur in pasteurized cheeses more often than in raw milk cheeses, and traditional processes like ash-ripening have been proven safe. In Ending the War on Artisan Cheese, Dr. Catherine Donnelly forcefully defends traditional cheesemaking, while exposing government actions in the United States and abroad designed to take away food choice under the false guise of food safety. This book is fundamentally about where and how our food is produced, the values we place on methods of food production, and how the roles of tradition, heritage, and quality often conflict with advertising, politics, and profits in influencing our food choices. Today, food is being reconsidered. It’s a front-and-center topic in everything from politics to art, from science to economics. We know now that leaving food to government and industry specialists was one of the twentieth century’s greatest mistakes. The question is where do we go from here. Author Andy Brennan describes uncultivation as a process: It involves exploring the wild; recognizing that much of nature is omitted from our conventional ways of seeing and doing things (our cultivations); and realizing the advantages to embracing what we’ve somehow forgotten or ignored. For most of us this process can be difficult, like swimming against the strong current of our modern culture. The hero of this book is the wild apple. Uncultivated follows Brennan’s twenty-four-year history with naturalized trees and shows how they have guided him toward successes in agriculture, in the art of cider making, and in creating a small-farm business. 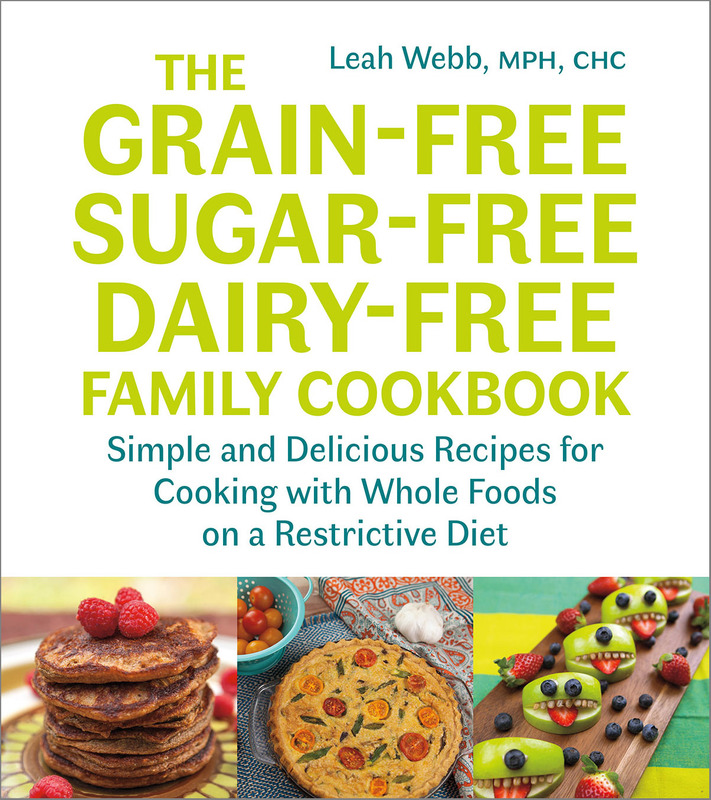 The book contains useful information relevant to those particular fields, but is designed to connect the wild to a far greater audience, skillfully blending cultural criticism with a food activist’s agenda. Apples rank among the most manipulated crops in the world, because not only do farmers want perfect fruit, they also assume the health of the tree depends on human intervention. Yet wild trees live all around us, and left to their own devices, they achieve different forms of success that modernity fails to apprehend. 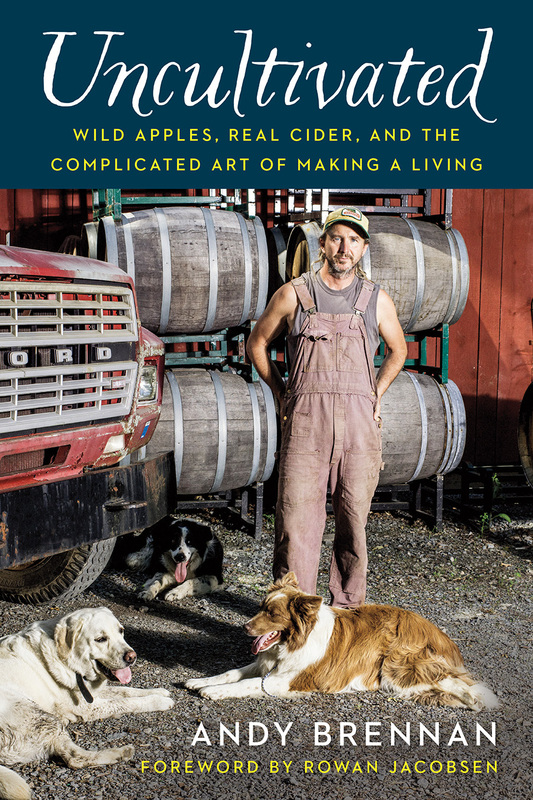 Andy Brennan learned of the health and taste advantages of such trees, and by emulating nature in his orchard (and in his cider) he has also enjoyed environmental and financial benefits. None of this would be possible by following today’s prevailing winds of apple cultivation. In all fields, our cultural perspective is limited by a parallel proclivity. It’s not just agriculture: we all must fight tendencies toward specialization, efficiency, linear thought, and predetermined growth. We have cultivated those tendencies at the exclusion of nature’s full range. If Uncultivated is about faith in nature, and the power it has to deliver us from our own mistakes, then wild apple trees have already shown us the way. Chris Smith’s first encounter with okra was of the worst kind: slimy fried okra at a greasy-spoon diner. Despite that dismal introduction, Smith developed a fascination with okra, and as he researched the plant and began to experiment with it in his own kitchen, he discovered an amazing range of delicious ways to cook and eat it, along with ingenious and surprising ways to process the plant from tip-to-tail: pods, leaves, flowers, seeds, and stalks. Smith talked okra with chefs, food historians, university researchers, farmers, homesteaders, and gardeners. 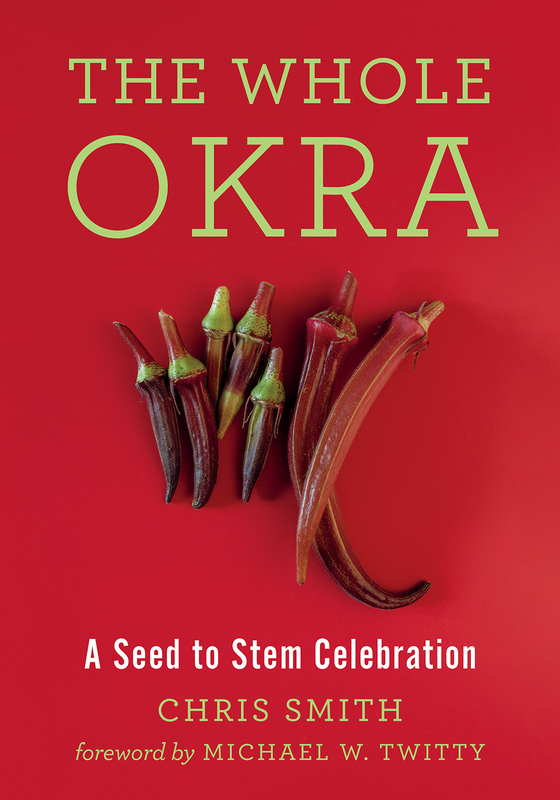 The summation of his experimentation and research comes together in The Whole Okra, a lighthearted but information-rich collection of okra history, lore, recipes, craft projects, growing advice, and more. The Whole Okra includes classic recipes such as fried okra pods as well as unexpected delights including okra seed pancakes and okra flower vodka. Some of the South’s best-known chefs shared okra recipes with Smith: Okra Soup by culinary historian Michael Twitty, Limpin’ Susan by chef BJ Dennis, Bhindi Masala by chef Meherwan Irani, and Okra Fries by chef Vivian Howard. Okra has practical uses beyond the edible, and Smith also researched the history of okra as a fiber crop for making paper and the uses of okra mucilage (slime) as a preservative, a hydrating face mask, and a primary ingredient in herbalist Katrina Blair’s recipe for Okra Marshmallow Delight. The Whole Okra is foremost a foodie’s book, but Smith also provides practical tips and techniques for home and market gardeners. He gives directions for saving seed for replanting, for a breeding project, or for a stockpile of seed for making okra oil, okra flour, okra tempeh, and more. Smith has grown over 75 varieties of okra, and he describes the nuanced differences in flavor, texture, and color; the best-tasting varieties; and his personal favorites. Smith’s wry humor and seed-to-stem enthusiasm for his subject infuse every chapter with just the right mix of fabulous recipes and culinary tips, unique projects, and fun facts about this vagabond vegetable with enormous potential. For more than thirty years, Patience Gray—author of the celebrated cookbook Honey from a Weed—lived in a remote area of Puglia in southernmost Italy. She lived without electricity, modern plumbing, or a telephone, grew much of her own food, and gathered and ate wild plants alongside her neighbors in this economically impoverished region. She was fond of saying that she wrote only for herself and her friends, yet her growing reputation brought a steady stream of international visitors to her door. This simple and isolated life she chose for herself may help explain her relative obscurity when compared to the other great food writers of her time: M. F. K. Fisher, Elizabeth David, and Julia Child. So it is not surprising that when Gray died in 2005, the BBC described her as an “almost forgotten culinary star.” Yet her influence, particularly among chefs and other food writers, has had a lasting and profound effect on the way we view and celebrate good food and regional cuisines. 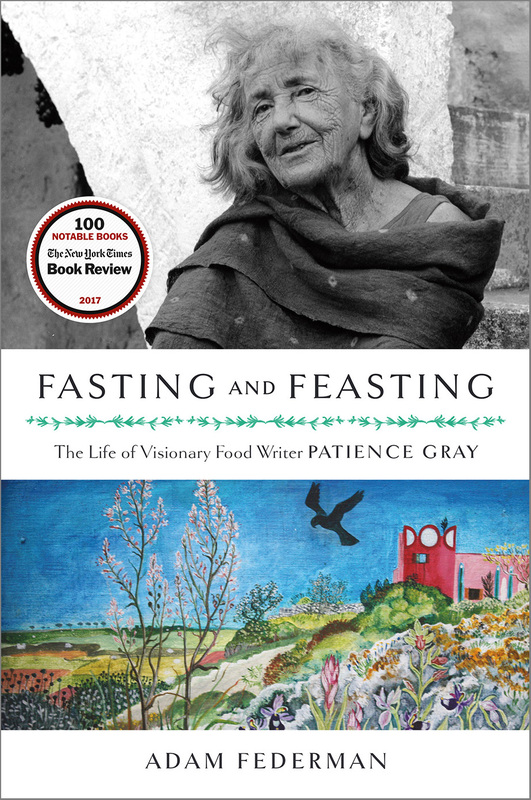 Gray’s prescience was unrivaled: She wrote about what today we would call the Slow Food movement—from foraging to eating locally—long before it became part of the cultural mainstream. Imagine if Michael Pollan or Barbara Kingsolver had spent several decades living among Italian, Greek, and Catalan peasants, recording their recipes and the significance of food and food gathering to their way of life. In Fasting and Feasting, biographer Adam Federman tells the remarkable—and until now untold—life story of Patience Gray: from her privileged and intellectual upbringing in England, to her trials as a single mother during World War II, to her career working as a designer, editor, translator, and author, and describing her travels and culinary adventures in later years. A fascinating and spirited woman, Patience Gray was very much a part of her times but very clearly ahead of them. In this groundbreaking collection of nearly 500 wild food recipes, celebrated New York City forager, cook, kitchen gardener, and writer Marie Viljoen incorporates wild ingredients into everyday and special occasion fare. 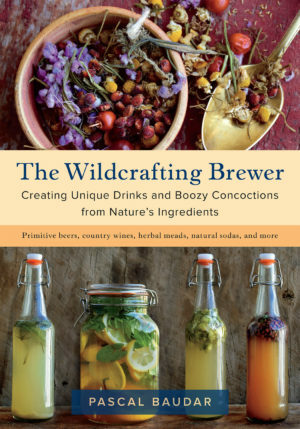 Motivated by a hunger for new flavors and working with thirty-six versatile wild plants—some increasingly found in farmers markets—she offers deliciously compelling recipes for everything from cocktails and snacks to appetizers, entrées, and desserts, as well as bakes, breads, preserves, sauces, syrups, ferments, spices, and salts. From underexplored native flavors like bayberry and spicebush to accessible ecological threats like Japanese knotweed and mugwort, Viljoen presents hundreds of recipes unprecedented in scope. They range from simple quickweed griddle cakes with American burnweed butter to sophisticated dishes like a souffléed tomato roulade stuffed with garlic mustard, or scallops seared with sweet white clover, cattail pollen, and sweetfern butter. Viljoen makes unfamiliar ingredients familiar by treating each to a thorough culinary examination, allowing readers to grasp every plant’s character and inflection. 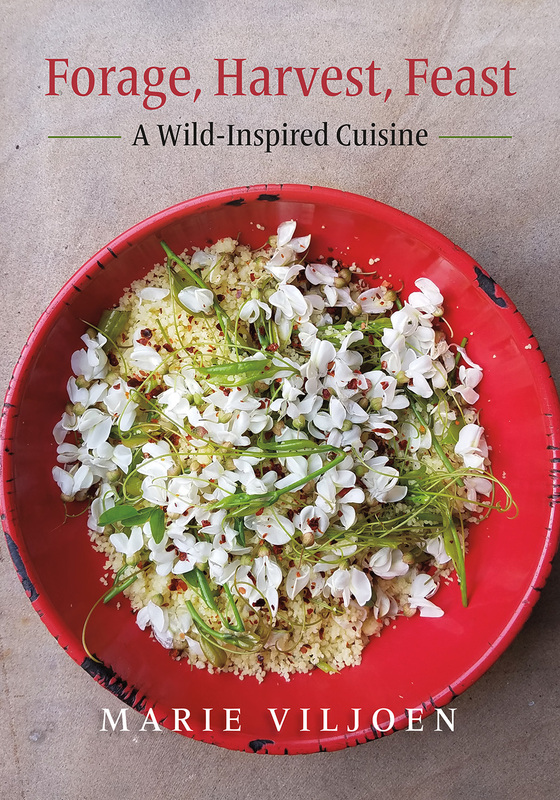 Forage, Harvest, Feast—featuring hundreds of color photographs as well as cultivation tips for plants easily grown at home—is destined to become a standard reference for any cook wanting to transform wildcrafted ingredients into exceptional dishes, spices, and drinks. Eating wild food, Viljoen reminds us, is a radical act of remembering and honoring our shared heritage. Led by a quest for exceptional flavor and ecologically sound harvesting, she tames the feral kitchen, making it recognizable and welcoming to regular cooks. The Fruit Forager’s Companion is a how-to guide with nearly 100 recipes devoted to the secret, sweet bounty just outside our front doors and ripe for the taking, from familiar apples and oranges to lesser-known pawpaws and mayhaws. 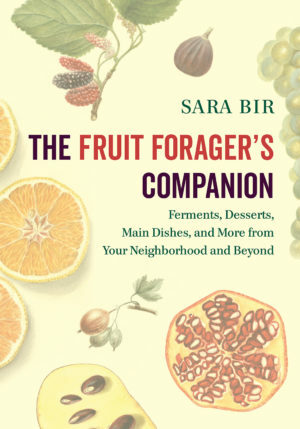 Sara Bir—a seasoned chef, gardener, and forager—primes readers on foraging basics, demonstrates gathering and preservation techniques, and presents a suite of recipes including habanero crabapple jelly, lime pickle, pawpaw lemon curd, and fermented cranberry relish. Bir encourages readers to reconnect with nature and believes once the foraging mindset takes control, a new culinary world hiding in plain sight will reveal itself. Written in a witty and welcoming style, The Fruit Forager’s Companion is a must-have for seekers of both flavor and fun. Most people know that wine is created by fermenting pressed grape juice and cider by pressing apples. But although it’s the most popular alcoholic drink on the planet, few people know what beer is made of. 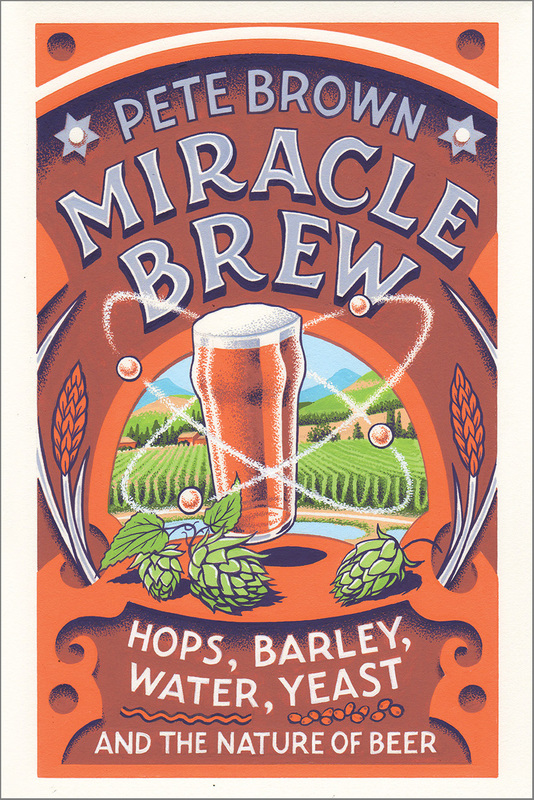 In lively and witty fashion, Miracle Brew dives into traditional beer’s four natural ingredients: malted barley, hops, yeast, and water, each of which has an incredible story to tell. From the Lambic breweries of Belgium, where beer is fermented with wild yeasts drawn down from the air around the brewery, to the aquifers below Burton-on-Trent, where the brewing water is rumored to contain life-giving qualities, Miracle Brew tells the full story behind the amazing role each of these fantastic four—a grass, a weed, a fungus, and water—has to play. Celebrated U.K. beer writer Pete Brown travels from the surreal madness of drink-sodden hop-blessings in the Czech Republic to Bamberg in the heart of Bavaria, where malt smoked over an open flame creates beer that tastes like liquid bacon. 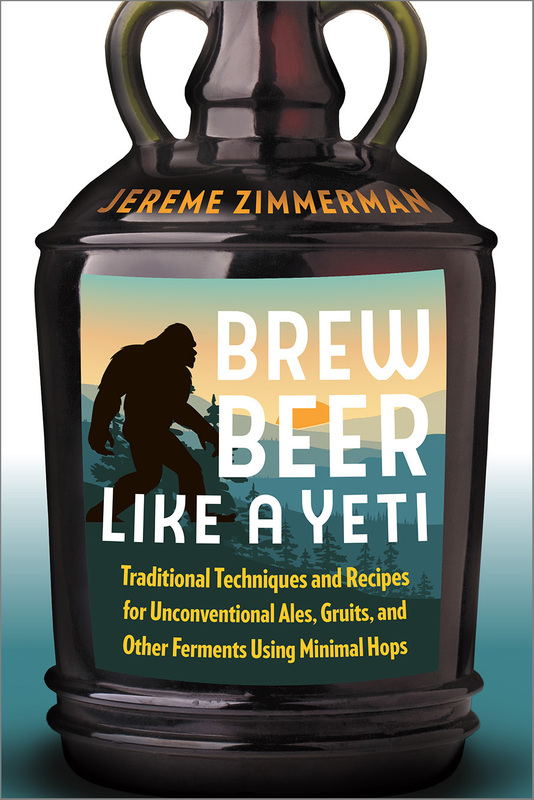 He explores the origins of fermentation, the lost age of hallucinogenic gruit beers, and the evolution of modern hop varieties that now challenge wine grapes in the extent to which they are discussed and revered. Along the way, readers will meet and drink with a cast of characters who reveal the magic of beer and celebrate the joy of drinking it. And almost without noticing we’ll learn the naked truth about the world’s greatest beverage. Stocks and broths are the foundation of good cooking, yet information on their use is often relegated to the introductions or appendices of cookbooks. Until now there has not been a comprehensive culinary guide to stocks in the canon, save for snippets here and there. Hard to believe, since most passionate home cooks and professional chefs know that using stocks and broths—both on their own and as the base for a recipe—can turn a moderately flavorful dish into a masterpiece. Mastering Stocks and Broths is the comprehensive guide to culinary stocks and broths that passionate home cooks and innovative chefs have all been waiting for. Rachael Mamane, a self-taught cook and owner of small-scale broth company Brooklyn Bouillon, is reminiscent of M. F. K. Fisher, Patience Gray, and Julia Child. She takes us on a culinary journey into the science behind fundamental stocks and the truth about well-crafted bone broths, and offers over 100 complex and unique recipes incorporating stocks as foundational ingredients. Mastering Stocks and Broths includes a historical culinary narrative about stocks in the classic French technique as well as through the lens of other cultures around the world. Readers will learn about the importance of quality sourcing, the practical and health benefits of stocks and broths, and detailed methodology on how to develop, store, and use them in a home kitchen. The recipes place a playful emphasis on the value of zero waste, turning spent bones, produce seconds, and leftover animal fats into practical products to use around the home. Readers will turn to this book when they find themselves wondering what to do with the carcass of a store-bought roast chicken and they want to learn how to make every inch of their vegetables go further. Perhaps most important to remember: a good stock takes time. This is part of the pleasure—making stocks is meditative and meaningful, if you allow yourself the occasion. Building a stock often happens in the background of most kitchens—a smell that permeates a residence, a gentle warmth that radiates from the kitchen. Readers will be inspired by Mamane’s approach to truly slow cookery and her effervescent love for food itself. One of the oldest, most ubiquitous, and beloved cheeses in the world, the history of cheddar is a fascinating one. Over the years it has been transformed, from a painstakingly handmade wheel to a rindless, mass-produced block, to a liquefied and emulsified plastic mass untouched by human hands. The Henry Fordism of cheddar production in many ways anticipated the advent of industrial agriculture. They don’t call it “American Cheese” for nothing. Author Gordon Edgar (Cheesemonger: A Life on the Wedge) is well equipped to take readers on a tour through the world of cheddar. For more than fifteen years he has worked as an iconoclastic cheesemonger in San Francisco, but his sharp talent for observation and social critique were honed long before then, in the world of ’zines, punk rock, and progressive politics. His fresh perspectives on such a seemingly common topic are as thought provoking as they are entertaining. The largest edible fruit native to the United States tastes like a cross between a banana and a mango. It grows wild in twenty-six states, gracing Eastern forests each fall with sweet-smelling, tropical-flavored abundance. Historically, it fed and sustained Native Americans and European explorers, presidents, and enslaved African Americans, inspiring folk songs, poetry, and scores of place names from Georgia to Illinois. Its trees are an organic grower’s dream, requiring no pesticides or herbicides to thrive, and containing compounds that are among the most potent anticancer agents yet discovered. So why have so few people heard of the pawpaw, much less tasted one? In Pawpaw—a 2016 James Beard Foundation Award nominee in the Writing & Literature category—author Andrew Moore explores the past, present, and future of this unique fruit, traveling from the Ozarks to Monticello; canoeing the lower Mississippi in search of wild fruit; drinking pawpaw beer in Durham, North Carolina; tracking down lost cultivars in Appalachian hollers; and helping out during harvest season in a Maryland orchard. Along the way, he gathers pawpaw lore and knowledge not only from the plant breeders and horticulturists working to bring pawpaws into the mainstream (including Neal Peterson, known in pawpaw circles as the fruit’s own “Johnny Pawpawseed”), but also regular folks who remember eating them in the woods as kids, but haven’t had one in over fifty years. As much as Pawpaw is a compendium of pawpaw knowledge, it also plumbs deeper questions about American foodways—how economic, biologic, and cultural forces combine, leading us to eat what we eat, and sometimes to ignore the incredible, delicious food growing all around us. If you haven’t yet eaten a pawpaw, this book won’t let you rest until you do.